Fitness is an important aspect of our every day lives. It is imperative for people to realize that fitness helps to keep our body strong and immune to health problems. A lot of the world’s population is considered to be obese which does not bode well for our future generations. Lack of fitness greatly reduces a person’s life expectancy and increases the chances of developing diabetes, high blood pressure, and many other health problems. This is why many gyms and health clubs are reaching out to new customers by offering the best trainers and fitness equipment that will aide in reducing weight and increasing strength. There are many brands of fitness equipment today, with a number of manufacturers entering the market on a daily basis. These manufacturers both sell and lease their equipments to gyms, health clubs, and for personal use so as to spread brand awareness and increase revenues. In my opinion based on use and experience, major brands such as Precor, Star Trac and LifeFitness provide the best quality fitness equipment. The amount of research that these companies spend on their design and technology is unparalleled. This is why they are the leading brands for fitness equipment around the globe. But which brand is the best? In order to determine which brand is the best, I first go to customer feedback and reviews. Customers play an important role in the development and design of any product. Based on their feedback, companies will have to adapt and redesign their products so that their customers are satisfied. As a customer myself, who has had experience with all three brands, I would highly recommend them all three of them but for different qualities. Precor takes great pride in the fact that they provide regular servicing of their equipment as part of their operational activity. Star Trac gives commercial and personal users warranty options depending on the amount of product usage. LifeFitness places great importance on customer satisfaction by providing an interactive experience through helpful tips, personal training advice, and apps for smartphones. These brands provide a wide range of products from ab crunches to stretch trainers to treadmills. All three brands provide equipments for both personal use and for commercial use. Star Trac seems to have a wider range of high quality products for cardio, strength, and entertainment whereas LifeFitness’ product line is also of high standards but lacks in variety comparatively. Precor’s products are considered to be the most reliable according to a 2009 IHRSA Health Club Equipment Benchmarking Report which ranked Precor #1 in 12 of 14 categories including quality, reliability, ease-of-use, consumer excitement. The only downside that I would add is that Precor is pricier than the others but well worth the overall product experience. Precor was established in 1980 and is managed by the Amer Sports Group, which has seen an increase of almost 8% in net sales in the last quarter of the 2012 financial year. Their market share across the globe shows revenues of around 600 million Euros and expects a further increase in the 2013 financial year. LifeFitness was established in 1977 as LifeCycle but then was acquired by Brunswick Corporation in 1997. According to Club Industry, LifeFitness is combined with Hammer Strength as the fitness segments of Brunswick Corporation, and they have shown a 9% increase in domestic and international sales during their last quarter of 2012 totaling $183.6 million. Star Trac has been showing promising results over the years and it has been steadily increasing earning $20-$50 million in revenues since its incorporation in 2011 in Irvine, CA. So, based on increase in revenue alone, we can see that Precor is the most financially stable fitness equipment company followed by LifeFitness and then StarTrac. What, in your opinion, is the best fitness equipment brand and why? What are some other top notch commercial fitness brands that I did not mention? What are some other factors that you take into consideration when evaluating fitness equipment for your business? Gym fitness equipments – There are a number of other pieces of equipment that can be used to improve fitness levels. valuable information. yeah absolutely true, branded gym fitness equipment is very important and worthy. It will not harm our health. As in cheap fitness equipment, we always remain in fear. Very informative blog.Today fitness is essential part of life to keep us healthy and we can made this possible only by using branded fitness equipments like commercial fitness equipment, treadmills etc. I work as the Technical Support Manager in KSA and we are the sole distributors of Life Fitness in the kingdom, Just need to correct an info, Life Fitness actually have after sales service and customer support all around the world and I know that because we annually meet to discuss how to improve the department. Such an useful message.Choosing a fitness equipment is very important.Thank you for sharing this informative thoughts. It is really best to see and learn the feedback of the customers. From there you will know how the equipment performs and then you can decide if what brand you will get. Investing well on these equipments is essential because you are investing for your body. Being healthy is what we should always want and aim for our body so that we can function well in our work, in our family and in our community. Customer feedback is important in all aspects of business, especially to determine whether or not they are enjoying gym equipment use. Thanks for your valuable feedback! In India commercial use gym equipment syndicate gym industry manufacturer quality fitness equipment in india. They manufacturers latest design gym equipment in india. Best price with tested quality parts use to manufacturer such gym equipment s for health clubs and fitness clubs in India. Hi, what is your opinion on TechnoGym Equipment. I really enjoy using their equipment and i have found it is taking over in many gyms. Your analysis on them would be very much appreciated as I am going into the gym business. I do not have any personal experience with Techno Gym Equipment. If you are just starting in the gym business, one good way to decide if it is a good brand is to go directly to one of the gyms in which predominately uses TechnoGym and speak with the staff about their thoughts and their own member feedback on the equipment. Also, you can purchase/lease just a few pieces and then obtain your own membership base feedback. bodyblade that can be used to improve fitness levels. Body blade builds muscles, promotes endurance and increases blood flow which promotes good health. Thanks for your suggestion David! What has been your experience with Cybex equipment? For my own gym, I do prefer equipment that is has more of a heavy-duty look and feel. Cybex, to me, does not reflect that. I would consider Cybex for a home gym though. Despite what type of equipment that you do choose, generally your gym members will not criticize you or prefer something different. It is how you maintain the equipment that is important. My analysis is strictly to help guide someone through the buying and up-keep process. You definitely want to consider how long a company has been around because I am running into problems with equipment that is practically useless now, because the company no longer exists and hence, I am no longer able to buy parts to maintain it. I hope I was able to provide some useful insights. Have you ever heard of a plate-loaded exercise machine manufacturer named “Lamb Bodybuilding Machines”? I have not heard of that specific manufacturer, but I will look into it. Would love to hear your own analysis of the “Lamb Bodybuilding Machines” compared to the other manufacturers mentioned! In my opinion the brands are great what you cite in this post but I suggest one thing nobody can buy any fitness equipment without the instruction of a fitness trainer. Thank you so much for sharing this. One of the most important things that you should know is what do you want to happen with your body. What kind of changes would you to achieve that you can choose the right equipment for you. Next to that, it is really essential that you will check on the customers or users feedback to certain equipments so that you will know if it renders much positive points or not. 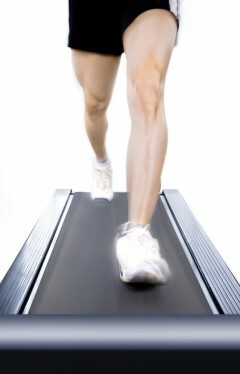 The smart treadmills keep the details in the console, saved to each user profile. With a few clicks you can remind yourself daily that you are a runner and your stats speak for themselves. Thanks for sharing the article. I was searching for the nearest Cybex Arc Trainer model AT770 or AT750 to utilize maximum workout Cardio in least amount of wear n tear on body, knees, etc. w/ minimal affects & effort involved. The Cybex International website referred me to Source Fitness Ctr, in St,Clairsville. I saw your earlier comment on Cybex Equip. & I am specifically seeking to use that particular machine. Are you guys open yet and Do you have a Cybex Arc Trainer at Gym??? I do not know if Source Fitness’ new location is open yet or if they have the model you are looking for. Here is their website http://www.thesourcefitnesscenter.com/. I would encourage you to connect with them directly. I wish you the best with your search! Hi Lawrence, I’ve been meaning for a few months to invest in a ‘Total Gym’. Have you heard of them? And would you recommend them for building muscle? Thanks for your help, Will. I am not too familiar with home equipment brands and quality. However, I would say that anything that helps you build strength and focus on your health and fitness, is worth investing in. Thanks for sharing this, Lawrence. In answer to your question, in my experience, two of the best brands when it comes to fitness equipment are ‘Weider’ and ‘Powerblock’. Superb quality and highly durable. Check out their adjustable dumbbells. Thanks Henry for your input. I will check them out! Nice post, it is worth spending mony on fitness products as one can utilise these euipments to keep their body in shape. At the same time one must search and enquire about the equipments reliability and if the manufacturer meeting all the standards while making the equipments. Is inertia a brand company like precore or other commercial gym brands? I’m having problem pricing out a deck peck commercial machine. It looks same as one of my other hoist machines I own. I am on the process of buying some gym equipment for my small-time gym and your blog is really helpful. Buying cheap equipment looks tempting, but if you think about quality, you will realize that you’re actually spending more than saving some if you buy cheap gym stuff. Thanks for the info! It’s very informative Blog!! Your analysis on them would be very much appreciated as I am going into the gym business. Great link John – I love the idea of high quality equipment from smaller vendors! It is really hard to choose a commercial gym brand equipment. Despite the financial matter, the competition in this sector getting high especially with new good Chinese brands. I do prefer life fitness but you gonna pay 25% more comparing with Technogym. Real Leader USA is also one of the best brands in India. It’s a US based company & its products are now being manufactured in India as well. Great thanks for the additional information! I am an advocate of using free weights, rather than overusing every machine you can find. Have you tried using Jordan Fitness? They have a wide variety of free weights which seem to last a lifetime. Everything from dumbells to barbells, benches, and accessories. If you’ve never tried using “Fat Gripz” I’d strongly recommend. I think you have missed Cybex International and Paramount. These both brands are also very popular among fitness equipment users. Thank you for adding to list of brands. It always helps when those of us in the industry share information. For sure you have mentioned top 3 fitness equipment websites, but now there are some more brands catching the attention such as, Cybex International, technogym, Rebook, NuFit, and the list go on. By the way thanks for this cool post. Thank you for adding to the list. All of this information is helpful to anyone looking for gym equipment.